HIR | Who holds the balance of power? 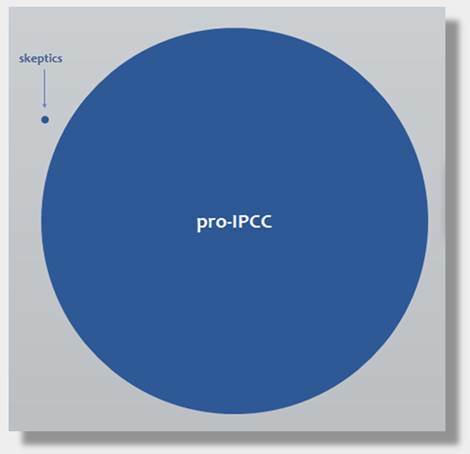 The skeptics or the IPCC? Who holds the balance of power? The skeptics or the IPCC? ‘Orwellian’ is an adjective reserved for a media-imposed total inversion of reality, plus indifference to absurdity equal parts boldness and nonchalance (so powerful in the rash assertion of its plausibility as to convince the innocent). Loudly claiming that the Antarctic ice-core evidence supports the AGW hypothesis—when it in fact refutes that hypothesis—is Orwellian. The same goes for the manner in which IPCC scientists describe themselves as the supposed persecuted party. We will argue here that the balance of power is unequivocally on the IPCC’s side. █ On whose side is Big Business? █ Is anybody bullying IPCC scientists? █ Have skeptical scientists been bullied? 4) the most important IPCC scientists have been caught discussing how to use their power in order to alter the normal scientific peer-review process to ensure that articles challenging the IPCC will not get published (Part 5). On whose side is Big Business? On 13 August 2007 Newsweek’s Sharon Begley (we met her in Part 4 and Part 5) wrote an article titled “The Truth About Denial.” This label, ‘denial,’ is carefully chosen to suggest that skeptics suffer from a psychopathology (as in ‘living in denial’), or are hate-filled liars (as in ‘Holocaust denial’). Since “former senator Tim Wirth” is the source of this valuable intelligence, let us ask: Who is he? But this is no follower—Wirth pioneered the “global warming” scare way back during the Reagan administration. James Hansen (now advisor to Al Gore) was then virtually unknown but Wirth turned him into the world-famous ‘NASA scientist’ promoter of the CAGW (Catastrophic Anthropogenic Global Warming) hypothesis. How? With a stunning bit of political theatrics. Seeing his opportunity in the drought of 1988, Wirth scheduled Hansen to testify before Congress on the day most likely to be the year’s hottest, and—according to Wirth’s own account—personally sabotaged the room’s air conditioning. The congressmen melted in their suits as Hansen declared: “ ‘Gentlemen, I’m 99 percent sure that human beings are contributing to climate change.’ ” 99 percent! In context, then, Begley would have you believe that skeptics are well-funded liars and cheats—and no better than tobacco companies—because straight-shooting, non-manipulative, unbiased Tim Wirth says so. According to Begley, skeptics are also no better than oil companies. Begley has been senior editor at Newsweek and is a recipient of multiple awards—this is mainstream journalism, folks. How does it work? Begley repeats what certain politicians tell her. First it was Tim Wirth. Now it’s Barbara Boxer who, fresh from her meeting with the IPCC president (no less), shares some gossip she got from one of her staffers. Suppose we accept this ‘documentation.’ Even so, the “well-coordinated, well-funded campaign by contrarian scientists, free-market think tanks and industry” has boiled down to one oil company (partly) funding one think tank, CEI, to the tune of a few $10,000 checks. If Begley had anything better, she would mention it. So this is it. Begley therefore does her best to allege that this implies a crushing funding superiority for skeptics. This is a large difference. A 3 to 1 ratio would already be worrisome. But $50,000,000,000 to $19,000,000 is a 2,632 to 1 ratio. times in the larger circle. Does this make sense? It does. Climate science costs billions of dollars to conduct. Who has that kind of money? The Western governments—the same Western governments that created the Intergovernmental Panel on Climate Change, or IPCC, to promote the anthropogenic global warming (AGW) hypothesis. Against the $50 billion that the intergovernmental research-fund cartel doles out to pro-AGW scientists, how does it look that ExxonMobil hands out ten grand to skeptics? Pitiful. Is this why Begley didn’t mention Inhofe’s research? The above quote from the Economist is the sort of tidbit that is packed with lessons if you only know what to do with it. In the Western system, to be taken seriously, university-trained career professionals must read the Economist. Some read it carefully. Some will take out the magnifying glass; for instance, a senior editor at a competing magazine, such as Begley—or, in fact, anybody in her gigantic staff. This comes with the job. And yet in her article Begley betrayed no awareness that ExxonMobil’s non-relationship to CEI, plus ExxonMobil’s non-opposition to “controls on carbon emissions,” had both just been reported in the Economist. This is a bit hard to believe, given that ExxonMobil was the centerpiece of her entire case. A whopper: even ExxonMobil’s pittance does not exist. But that’s all Begley had! So where is the “well-coordinated, well-funded campaign by... industry... running at full throttle [to] shape both government policy and public opinion”? Oh, it exists. Fear not. But it lies on the other side. I didn’t say it. Begley did. Plenty of greenhouse-gas reductions are being approved. And industrial giants (“leading corporations”) such as “Alcoa, Caterpillar, Duke Energy, Du Pont, and General Electric” want more—much more. The most. An oil company! Given that Western governments, Big Media, and Big Business support the AGW hypothesis, is it likely that supporters of this hypothesis will be persecuted and harassed? Wouldn’t it be more reasonable to expect, under such circumstances, that skeptics will suffer such treatment? I have seen exactly zero reports of harassment or persecution against journalists who agree with the IPCC. In truth, the very notion is implausible, since they are in such a strong majority—they are the mainstream. By contrast, it is not difficult to find cases of harassment, and even threats, against those who publish skeptical views. I will consider two cases. Three weeks before Begley’s article was published, an incident was reported in the Washington Times under the heading Green Bully that provides an interesting context to her accusations. The heat is obviously getting to Michael T. Eckhart, president of the American Council On Renewable Energy (ACORE). Two weeks ago, this column published a threatening letter he wrote to Marlo Lewis, senior fellow at the Competitive Enterprise Institute (CEI), concerning ‘global warming.’ Then last week, Mr. Eckhart issued an apology, expressing regret for calling Mr. Lewis disparaging names and threatening to “destroy” his “career” as a “liar”—all because Mr. Lewis does not share Mr. Eckhart’s opinions on the cause of climate change. What’s all the fuss about, then? Lewis doesn’t think a catastrophe—as such—is looming and argues that economically viable alternatives to fossil fuels do not exist. That’s it. But even such weak differences with Al Gore and the IPCC are quite enough to send Michael Eckhart spinning with rage, for he threatens to “destroy” Marlo Lewis if the latter dares to write one more offending editorial. Now, Inside the Beltway learned that Mr. Lewis isn’t the only recipient of Mr. Eckhart’s vitriol. He wrote to Competitive Enterprise Institute President Fred Smith on Sept. 25, 2006. “Following up on our meeting at the Rocky Mountain retreat last spring with Al Gore, I am writing to say that I am very unhappy to see this continuing false analysis coming out of CEI, seeking to refute the issue of global warming. ...The only explanation that I can see is that you are doing this because you are paid by Exxon Mobil and other clients to do so. I find this outrageous, that my children will have a lesser life because you are being paid by oil companies to spread a false story. As I said to you at the time, I would give you 90 days to show that CEI is reversing its position on this, or I will take every action I can think of to shut you down. Why would Eckhart behave this way? Aside from certain personality traits, it is relevant that Eckhart—now ‘Environment Chief’ at Citi —was at the time President of ACORE (American Council on Renewable Energy), a job that called for him to get subsidies for ACORE members. Thus, for example, when Congress and the Bush administration approved a bill with “an array of tax and production credits that go to either the consumers of renewable energy or to the estimated 20,000 companies... that harness renewable energy sources,” the New York Times reported that Eckhart was not even close to satisfied. “Yes, some companies will benefit, he concedes, but not enough for renewable energy’s share of the market to grow.” Eckhart would like the US government to bend the market his way even more. What might help him achieve this? Public pressure. And what might produce such pressure? A widespread belief that burning fossil fuels will soon produce a global catastrophe. So Marlo Lewis’ editorials expressing skepticism of onrushing catastrophe were a bit of a nuisance. Nothing says power like writing a federal program from which your member companies will benefit. And ACORE members (650 total) are not small potatoes: Citi, Deloitte, Lockheed Martin, General Electric, General Motors, Volvo, and Duke Energy all pay their dues (determined by organizational revenue). 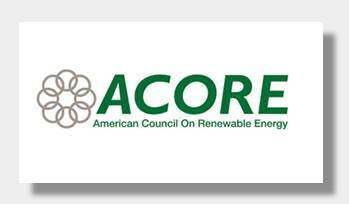 Plus, among ACORE’s members you will find—get this—the US Department of Energy and the US Department of State. Once again we see Big Business—conjoined with government—in the IPCC’s corner. Can we get Big Media in this picture too? Why not. Just three weeks after the Washington Times embarrassed Eckhart by exposing his threats, Newsweek ran the cover story we examined by senior editor Sharon Begley. This story, as we saw, gave credence to Eckhart’s groundless accusations about ExxonMobil’s supposed funding campaign. So perhaps Eckhart can also wield Newsweek. To compare Newsweek—a newsmagazine with worldwide distribution—to a regional US paper like the Washington Times (not to be confused with the Washington Post or the New York Times) is like comparing the Titanic to one of its lifeboats. The Great Global Warming Swindle is a British documentary that aired on TV for the first time in 2007. Top climate scientists are interviewed expressing their disagreement with the anthropogenic global warming hypothesis. The documentary is meticulous in exposing that virtually every argument, assumption, and/or prediction—explicit or implied—made by this hypothesis fails. But the scientists, in particular, place great emphasis on the Antarctic ice-core data (the main focus of this series), which shows that at every glacial termination CO2 rises after the warming trend begins. This is known as the CO2 lag, and it directly contradicts the view that CO2 drives global temperatures (see Part 2). 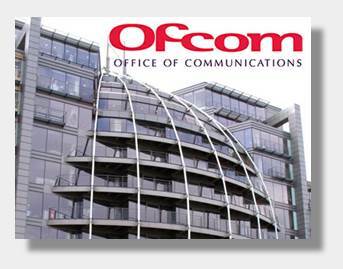 Since the formal complaint filed with Ofcom by “a group of scientists” was the basis for its ruling, I took a look at the complaint. I wished to see if these scientists had a comeback for the movie’s discussion of the CO2 lag—for this is the key issue. 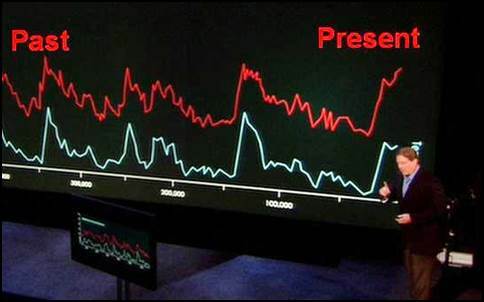 In The Great Global Warming Swindle, Al Gore is shown posing before his giant graph of the 650,000-year Antarctic ice-core record, with two sawtooth curves, one for CO2 and another for temperature. Narrator: Al Gore says that the relationship between temperature and CO2 is complicated; but he doesn’t say what those complications are. In fact there was something very important in the ice core data that he failed to mention. ... Professor [Ian] Clark and others have indeed discovered, as Al Gore said, a link between carbon dioxide and temperature. But what Al Gore doesn’t say is that the link is the wrong way round. Prof Ian Clark: So here we’re looking at the ice core record from Vostok, and in the red we see temperature going up from early time to later time. At a very key interval when we came out of a glaciation; and we see the temperature going up, and then we see the CO2 coming up. The CO2 lags behind that increase – it’s got an 800[-year] lag. So temperature is leading CO2 by 800 years. Narrator: There have now been several major ice core surveys. Every one of them shows the same thing. The temperature rises or falls, and then after a few hundred years CO2 follows. “This accumulation of consecutive interviewee statements, taken together with statements by the narrator, amount to a highly misleading narrative coverage of the lag of historical CO2 increases behind temperature increases. 2) a link to RealClimate—the URL is to Jeff Severinghaus’s piece, the same one we examined and refuted in Part 2. Ofcom ruled that the IPCC was dishonored (“unfairly treated”) and that AGW is “settled fact” on the basis of what RealClimate says. The world has never seen such a powerful blog. But it’s a tight little circle, because RealClimate was set up by—drum roll...—IPCC scientists (Part 2). Is anybody bullying IPCC scientists? Harass: to trouble, torment, or confuse by continual persistent attacks, questions, etc. Wait just a minute. Is the most prestigious science journal in the world saying that we should trust? Isn’t trust (or ‘faith’) what religion calls for? Any scientist must labor under the “pressure” of distrust, also known as skepticism. It is normative. And who is a skeptic? Anybody for whom a claimed result “does not fit his world view.” So how can Nature complain that Barton asked to see Mann’s data and methods? How else can a skeptical examination of his work be attempted? But my surprise is feigned. It was Nature, after all, that published Michael Mann’s ‘hockey stick.’ And Nature—take note—did so on faith, without really looking at Mann’s work, even though it contradicted a mountain of prior research (Part 5). It seems that Nature’s editors, when Barton began conducting the skeptical examination that should have been their responsibility, understood that any embarrassment for Mann would also be for them. This can easily explain why Nature came to Mann’s defense. But doesn’t this mean that Nature’s editors are the ones playing politics? Is this why they published Mann without reviewing his data? On this question Plimer was equivocal. Nature did something in 2009 that could have helped Plimer settle this question—but too late, for Plimer’s book also appeared in 2009. In that year Nature published a study, co-authored by Michael Mann, that invented data in order to claim—against a mountain of contrary evidence—that Antarctica was supposedly warming (Part 5). It does appears that Nature bends over backwards to assist and protect Michael Mann, even to the point of doing away with the normal peer-review process (for more on Nature’s standards, see Part 3). And this question of peer-review brings me to Phil Jones, who, like Mann, is at the center of the Climategate scandal. Climategate, you may recall, exploded when hackers broke into the Climatic Research Unit’s servers, at the University of East Anglia (UK), and released on the internet thousands of emails from the CRU scientists who control the IPCC process. For many, these emails confirmed suspicions of unethical behavior intended to distort science and convince the public that global warming is anthropogenic. In one of the exchanges, CRU director Phil Jones promised to Michael Mann that, if necessary, the scientific peer-review process would be tampered with in order to further the IPCC agenda (Part 5). Jones was not simply being ‘generous’ to Mann—he was helping himself. 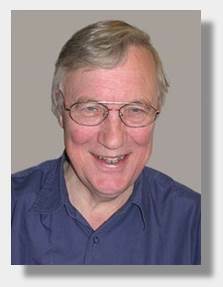 For Jones contributed key data to Mann’s ‘hockey stick’ and co-authored with Mann an influential 2000-year temperature reconstruction. In the wake of Climategate, the University of East Anglia (UEA), where the Climate Research Unit (CRU) is located, launched two investigations of itself: the Oxburgh panel, and the ICCER (Independent Climate Change Emails Review), better known as the Muir Russel Inquiry. These hardly qualify as real investigations. 8) Only 11 academic papers vetted by Phil Jones were examined. 9) Only unrecorded closed interviews with CRU staff were held. 10) There were no meetings with CRU critics. 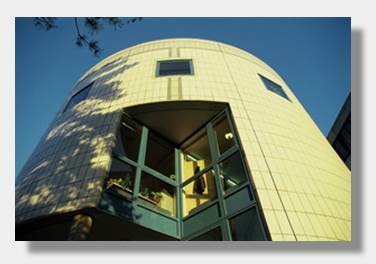 11) UEA had effective control of the Inquiry throughout. Neither investigation produced the sought-after data, for, in the wake of Climategate, Jones has now claimed to have lost it (Part 5). It hardly seems to me that Phil Jones is being persecuted; it appears, rather, that he is being protected. And the protection extends beyond. Despite the Climategate emails suggesting malfeasance by the top CRU/IPCC scientists generally, the only ones even cursorily ‘investigated’ were Mann and Jones. Have skeptical scientists been bullied? Dr. Richard Tol is among the top economists in the world and one of the 25 most-cited climate researchers. Since 1994, he has participated in the IPCC process. In May 2014 he gave testimony before a US congressional committee tasked with “Examining the UN Intergovernmental Panel on Climate Change Process for the Fifth Assessment Report.” This testimony amounts to whistleblowing on the IPCC. “Governments nominate academics to the IPCC – but we should be clear that it is often the environment agencies that do the nominating. Different countries have different arrangements, but it is rare that a government agency with a purely scientific agenda takes the lead on IPCC matters. As a result, certain researchers are promoted at the expense of more qualified colleagues. Other competent people are excluded because their views do not match those of their government. Some authors do not have the right skills or expertise, and are nominated on the strength of their connections only. ...Academics who research climate change out of curiosity but find less than alarming things are ignored, unless they rise to prominence in which case they are harassed and smeared. ...Not all IPCC authors are equal. Some hold positions of power in key chapters, others subordinate positions in irrelevant chapters. The IPCC leadership has in the past been very adept at putting troublesome authors in positions where they cannot harm the cause. That practice must end. …[there are] close ties between IPCC authors and [Environmental Organizations such as] the Environmental Defence Fund, Friends of the Earth, Greenpeace or the World Wide Fund for Nature. This is important testimony, coming as it does from an IPCC insider. Tol is saying that real harassment follows for any scientist important enough to challenge the IPCC leadership. What happened to him? Bengtsson “[came] under assault from supposed ‘colleagues’ all over the world.” Why the pressure? Because Bengtsson had dared to join the Global Warming Policy Foundation (GWPF), a leading skeptical organization founded in Britain by Nigel Lawson. Bengtsson thought he was in physical danger. This allows us to infer the level of harassment this elderly scientist was subject to. Bengtsson became so agitated that he decided to resign from GWPF, which he had joined only three weeks earlier. This was a reference to the postwar witch-hunts—known as McCarthyism—in the United States, when anybody who disagreed with the US power-elite was dragged before a tribunal and accused of ‘communism’ (and coerced to reveal the names of ‘accomplices’). Another comparison is also apt—perhaps more so. What happens when heads of state decide scientific issues? We have historical case data on this. For example, we have the stagnation of scientific progress in the European Middle Ages, when the Church, joined to the State, ruled doctrinally on the nature of the Universe and persecuted (sometimes with torture and death) those who disagreed. In more recent memory, soviet scientist Trofim Lysenko argued—against the evidence—that acquired traits were genetically heritable. Stalin loved it. In 1948, “the V.I. Lenin Academy of Agricultural Sciences announced that from that point on Lysenkoism would be taught as ‘the only correct theory.’ ” The State and its media fully supported Lysenkoism, and “Soviet scientists were forced to denounce any work that contradicted Lysenko’s research.” Soviet biology stagnated while free Western biologists advanced by leaps and bounds. Stalin was no biologist. But today the roles, amazingly, appear to have been reversed. The Russian Academy of Sciences has denounced political meddling in climate science. Meanwhile, the most powerful Western governments have created the Intergovernmental Panel on Climate Change (IPCC), which claims to speak for a ‘scientific consensus.’ Almost president of the world superpower, Al Gore, not a climate scientist, has become a world-traveling salesman for IPCC claims, supported by Western Big Media. And sitting president of the world superpower Barack Obama—not a climate scientist—recently called to mind non-biologist Joseph Stalin, declaring in his State of the Union address (January 2014) that “the debate is settled,” by way of supporting his second-term priority: to curb CO2 emissions. There are some differences between the current Western case and the earlier Soviet one, which I express in the following table. The differences between the Soviet Lysenkoist state and the current Western situation derives, in my view, from the fact that power elites pretending to run a free and democratic society must keep themselves within certain bounds, lest they awaken the citizenry to revolt. Absent such shackles, we would be precisely in the same boat. And this raises a final question. What is the interest? Obviously, given that the evidentiary support for anthropogenic global warming is nil, there must be a powerful interest behind the awesome concentration of political, business, media, and academic power that seeks to force-feed us the lie that the world will end if we don’t drastically reduce our consumption of fossil fuels and heavily subsidize ‘alternative’ energy. So what is that interest? That will be the topic of our next investigation. Frontline: What else was happening that summer? What was the weather like that summer? Frontline: And did you also alter the temperature in the hearing room that day? So Hansen’s giving this testimony, you’ve got these television cameras back there heating up the room, and the air conditioning in the room didn’t appear to work. So it was sort of a perfect collection of events that happened that day, with the wonderful Jim Hansen, who was wiping his brow at the witness table and giving this remarkable testimony. The New York Times; September 22, 2005 Thursday; “In an Oil Squeeze, Attention to the Alternatives”; By KENNETH J. STIER; Section C; Column 1; Business/Financial Desk; SMALL BUSINESS; Pg. 7; 1342 words. [Narrator] Former Vice President Al Gore’s emotional film “An Inconvenient Truth” is regarded by many as the definitive popular presentation of the theory of man-made global warming. His argument rests on one all-important piece of evidence taken from ice core surveys in which scientists drilled deep into the ice to look back into earth’s climate history hundreds of thousands of years. The first ice core survey took place in Vostok in the Antarctic. What it found, as Al Gore correctly points out was a clear correlation between carbon dioxide and temperature. [Cut to Al Gore speaking on the film “An Inconvenient Truth”, with a graph of CO2 vs. temperature in the background] We’re going back in time now 650,000 years. Here’s what the temperature has been on our earth. Now one thing that kinda jumps out at you is: ‘Do they [temperature and CO2] ever fit together?’ Most ridiculous thing I’ve ever heard. The relationship is actually very complicated, but there is one relationship that is far more powerful than all the others, and it’s this: when there is more carbon dioxide, the temperature gets warmer. [Narrator] Al Gore says that the relationship between temperature and CO2 is complicated; but he doesn’t say what those complications are. In fact there was something very important in the ice core data that he failed to mention. Professor Ian Clark is a leading Arctic palaeoclimatologist, who looks back into the earth’s temperature record tens of millions of years. [Prof Ian Clark] When we look at climate on long scales we’re looking at geological material that actually records climate. If we were to take an ice sample for example, we use isotopes to reconstruct temperature; but the atmosphere that’s imprisoned in that ice, we liberate it and then we look at the CO2 content. [Narrator] Professor Clark and others have indeed discovered, as Al Gore said, a link between carbon dioxide and temperature. But what Al Gore doesn’t say is that the link is the wrong way round. [Prof Ian Clark] So here we’re looking at the ice core record from Vostok, and in the red we see temperature going up from early time to later time. At a very key interval when we came out of a glaciation; and we see the temperature going up, and then we see the CO2 coming up. The CO2 lags behind that increase – it’s got an 800[-year] lag. So temperature is leading CO2 by 800 years. [Narrator] There have now been several major ice core surveys. Every one of them shows the same thing. The temperature rises or falls, and then after a few hundred years CO2 follows. [Dr Frederick Singer] So obviously carbon dioxide is not the cause of that warming. In fact we can say that the warming produced the increase in carbon dioxide. [Prof Ian Clark] CO2 clearly cannot be causing temperature changes – it’s a product of temperature – it’s following temperature changes. [Dr Tim Ball] The ice core record goes to the very heart of the problem we have here. They said: “if the CO2 increases in the atmosphere as a greenhouse gas, the temperature will go up.” But the ice core record shows exactly the opposite; so the fundamental assumption, the most fundamental assumption of the whole theory of climate change due to humans is shown to be wrong. Mann, Michael E. (2012-01-24). The Hockey Stick and the Climate Wars: Dispatches from the Front Lines (Kindle Locations 3137-3140). Columbia University Press. Kindle Edition. Plimer, I. (2009). Heaven and Earth: Global Warming, the Missing Science. New York: Taylor Trade Publishing. (pp 89-98). Memorandum submitted by Warwick Hughes (CRU 35); UK Parliament; Commons Select Committee; Science and Technology. Ball, Tim (2014-01-17). The Deliberate Corruption of Climate Science (Kindle Locations 2614-2635). Stairway Press. Kindle Edition. SOURCE: Ball, Tim (2014-01-17). The Deliberate Corruption of Climate Science (Kindle Locations 2534-2541). Stairway Press. Kindle Edition.